This gorgeous lifestyle property is the perfect balance of town and country, in a fantastic location. 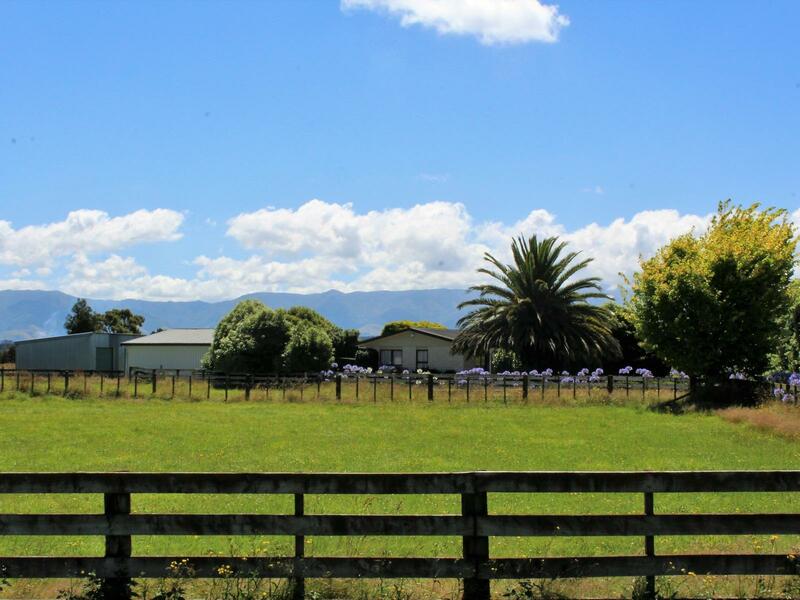 With five flat paddocks of free draining soil, this property is perfect for those wishing to downsize from the farm, or just get out of the rat race. The three-bay pole shed has a concrete floor which is fully enclosed and could be converted into a great workshop. The double garage has a good workspace and even a second toilet. 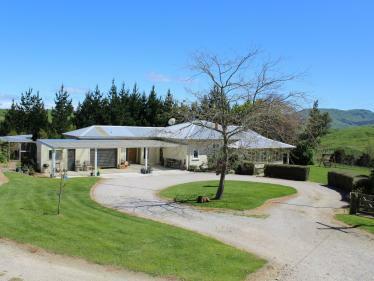 The low maintenance home boasts three bedrooms, open plan living and kitchen, heat pump as well as wood fire and is designed to maximise the sun and embrace the mountains. Enjoy the privacy that the landscaped gardens provide, while you relax on the sundrenched deck. Move in, sit back and enjoy the tranquility.